Ten Reasons Why You Should Make an Appointment with Us Today! We offer iZon wavefront guided eyeglass lenses, allowing you to see 20% better than traditional eyeglass lenses and greatly improves night vision. 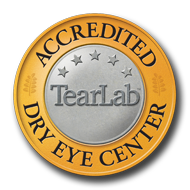 We can diagnose, treat, and monitor Dry Eye, Glaucoma, Retinopathy, and other systematic diseases that affect your eyes, such as hypertension and cardiovascular abnormalities. We also offer Orthokeratology (also referred to as Ortho-K, Overnight Vision Correction and Corneal Refractive Therapy), and are licensed in Bausch + Lomb's Vision Shaping Treatment (VST) & Paragon CRT. Our professional staff is extremely knowledgable and friendly. We truly listen to your needs. Patient Education is a very high priority for us. If you have a vision condition, we will explain it thoroughly so that you have a clear understanding of our treatment plan and/or our monitoring monitoring plan. We appreciate referrals and offer incentives to patients who tell their family and friends about us.